← On a break until September the 3rd! Hello Manila! I just got back from vacation last Saturday. It was a good break but I’m ready to get over jetlag without depending on a sleep aid pill and get back into the groove of work. 1. 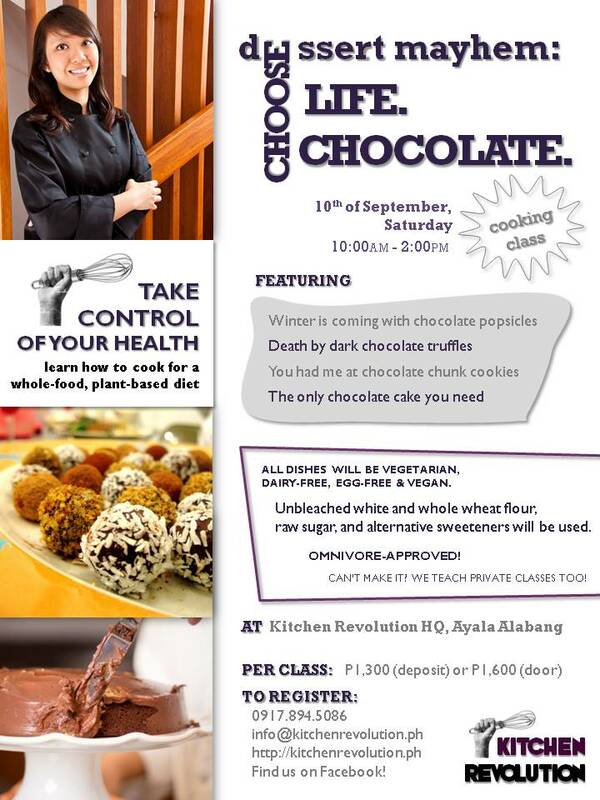 Coming up this Saturday the 10th: Dessert Mayhem: Choose life. Choose chocolate. 10am to 2pm. This was supposed to be held on the 13th of August but got postponed. Catch it this Saturday! It’s going to be a chocolate explosion! And no, this is in no way referencing RH politics. Ten points to those who can figure out my inspiration for naming this class (hint: a Ewan McGregor film). I am revisiting a childhood treat with winter is coming chocolate popsicles. Class gets classier with death by dark chocolate truffles while you had me at chocolate chunk cookies proves that you can have chocolate and be vegan, too. Get seduced with more darkness with the only chocolate cake you need. 2. Next Saturday the 17th: A Taste of Africa. 10am to 2pm, menu to be determined! 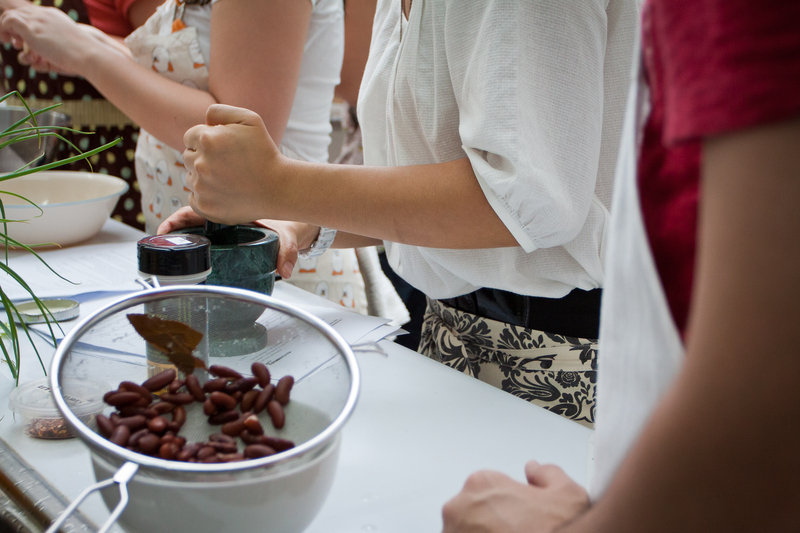 Sign up for chocolate class this Saturday, whoop whoop!